In July, Super Systems Inc. celebrated its 20th year in business. To celebrate this milestone, we are hosting an Open House on Friday, October 9th, from 11 a.m. to 3 p.m. EST. All of our customers and suppliers are invited to see our new manufacturing facility and greet the SSi team while enjoying some lunch and beverages. Door prizes will be featured. As part of the festivities, we will honor Bill and Doreen Thompson for their accomplishments since Mr. Thompson founded SSi 20 years ago. Please RSVP to Rachel Davidson at rdavidson@supersystems.com or 513 701 2127. Super Systems Inc., based in Cincinnati, Ohio, has been developing and manufacturing products for the thermal processing industry since 1995. SSi’s products include probes, analyzers, flow meters, controllers, software solutions and engineered systems. 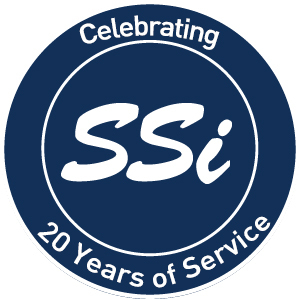 With over 100 years of combined experience, SSi continues to satisfy industry demands with innovative technology, enabling customers to be more efficient and to produce higher quality products.